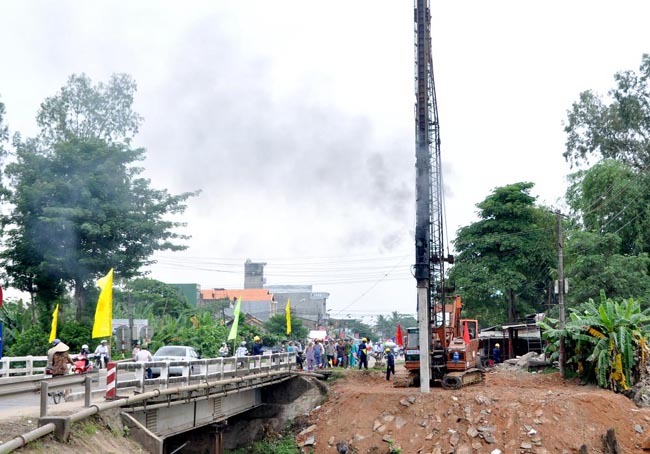 QUANG NGAI (VNS)— A project to upgrade a section of National Highway No 1A in central Quang Ngai Province is behind schedule because of slow site clearance by contractors. 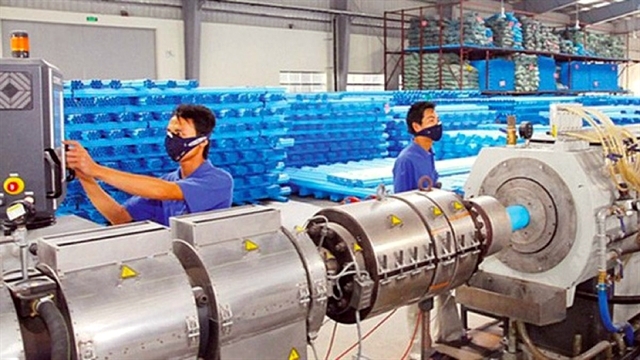 The project, costing VND4.8 trillion (US$225 million) is being implemented in two parts. The first, under the Build-Operate-Transfer model with investment capital of VND2.1 trillion ($98 million), is to widen the road in Tu Nghia, Mo Duc and part of Duc Pho districts. The second part, with investment capital of more than VND2.7 trillion ($126 million) from the State budget, is to upgrade the road in Binh Son, Son Tinh, Tu Nghia, part of Duc Pho districts and Quang Ngai City. About 5,400 households will be affected by site clearance. However, in the two months since work began, only 1,220 households have budged from their sites. Of the rest, most claim not to know about the project or compensation levels. Nguyen Thanh Tinh, a resident in Son Tinh District's Phong Nien Thuong Village, said his house was close to the highway and part of it, including a front yard and a well, were likely to be eliminated. "They sent us a paper informing about the site clearance, but said nothing about the compensation," he said. "This area has no water plant. If they take the yard, we'll lose the well and have no water." Last month, the provincial Department of Tranport and the board of traffic management for the project, met with people from 300 households in Son Tinh District. They informed them that land clearance must be finished by the end of this month, but many said they were still not sure if they had to move. Le Van Mui, chairman of Duc Pho District's People's Committee, said the committee had informed people about the project, but investors had yet to deliver legal papers to inform them in detail. A report from the provincial Department of Transport indicates that four out of the six construction packages had not even started because they still did not have project managers or building materials warehouse. They are the Phuc Loc Corporation, Petro IMICO Construction Invesment JSC, Phuc Son Group JSC and Vinaconex Construction Investment JSC. Ha Hoang Viet Phuong, deputy director of the department, agreed that those contractors had failed to meet requirements. The department will seek to replace contractors who have made no progress. Last week, at a meeting to boost progress, Deputy Prime Minister Nguyen Xuan Phuc urged local authorities to take drastic measures to speed land clearance and relocation by April.